The need for long-term care support can be alleviated, and best value achieved, by appropriate choice of assisted living aids, that can still be operated despite deterioration in the user’s condition. Closomat, the UK’s leading provider of enabling toilet solutions for elderly and disabled people, delivers a unique solution. Its Palma Vita shower (wash & dry) toilet is the only one of its kind that can be tailored, initially AND retrospectively, to accommodate the user’s needs. Particularly, a range of operating mechanisms enables it to be used without help from a carer- mechanisms that can be changed with the user’s needs. Thus that most basic and frequently undertaken ADL- going to the toilet- can be done without the need for care support. The toilet can be flushed, and its integrated cleaning processes, triggered, by the user. As standard, flush pads on the front of the close-coupled cistern trigger the simultaneous flushing and douching of the Palma Vita, followed by warm air drying. When the user does not have, or no longer has, the strength, dexterity or mobility to push either of the pads, the toilet can still be used and operated in full, via an air-operated touch sensitive switch, an infra-red remote control or a passive-technology proxy switch. “Most people are aware of the cost benefits of adapting a client’s home rather than providing care support, where practical. Alterations to the toilet are the most common form of adaptation,” elaborates Robin Tuffley, Closomat marketing manager. 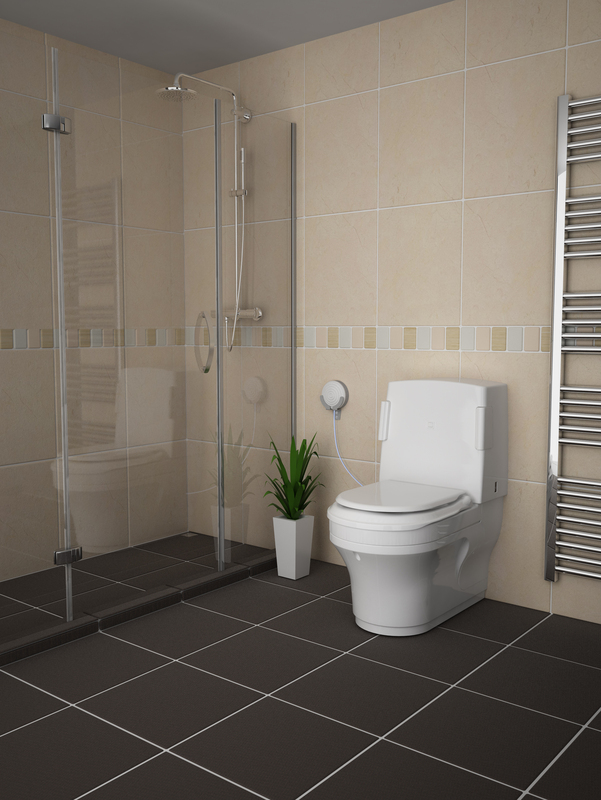 “Installing a shower toilet is a proven technique to alleviate the need for care support, and maintain someone’s independence, in their own home. The ability to specify different operating mechanisms is just one of the unique features of Closomat. It is the only company in its sector based in Britain, with UK manufacture, sales, service and support teams; it also uniquely has in-house a nationwide team of dedicated engineers, to ensure timely install, commissioning, service, maintenance and remedials.